Round up the crew and join us tonight at the Ranch. 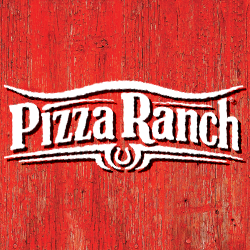 We’ve got a buffet filled with your favorite pizza, the Country’s Best Chicken®, and savory sides. But make sure you save room for our classic Cactus Bread®! Need event space? Host with us and enjoy endless options that’ll satisfy any appetite—guaranteed. Or stop by for one of our Community Impact events and help us support local groups like the Wright County Shrine Club. Just minutes from East Park and the Clarion Aquatic Center, we’re the perfect family stop to refuel. If you feel like staying in, call or order online and we’ll deliver the legendary dining experience to you!